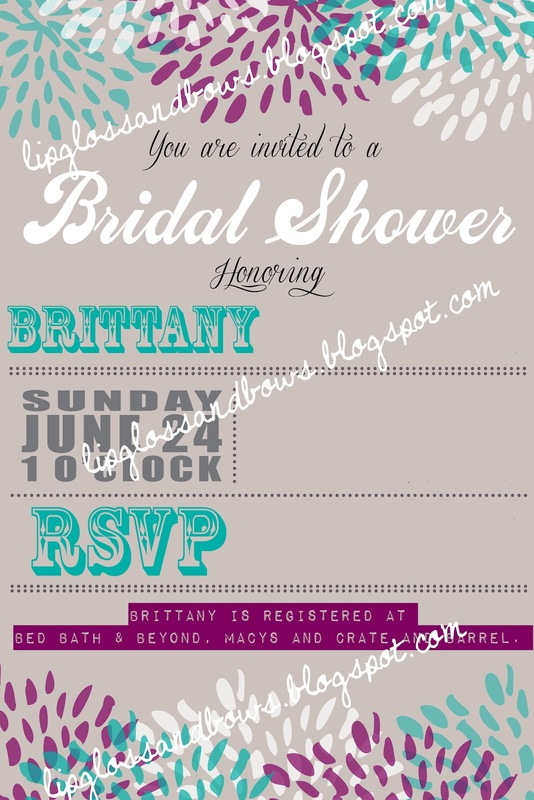 This June I am so excited to be hosting a bridal shower for one of my best friends Brittany whom I met in college. Over the last few years her and I have become the closest of friends and I am so honored to be able to not only be apart of her big day, but also to be planning an event in her honor. 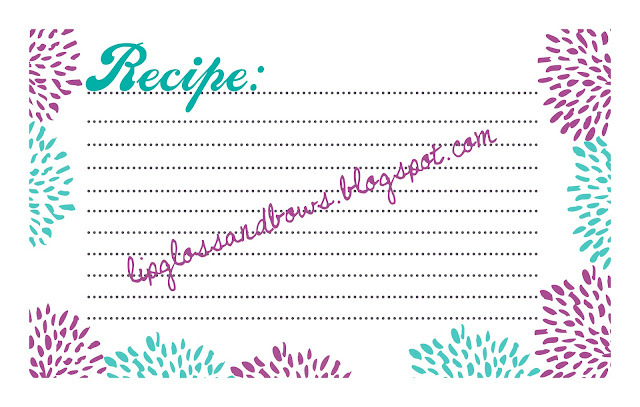 If you would like a copy of the files jpeg and fill in yourself I would be happy to share just e-mail me at lipglossandbows@gmail.com. It's been 12 year's since I lost my mom. She died of a heart attack at the age of 54. I was 13. It was the day before my 14th birthday if you want to get technical. There hasn't been a day since she died, that I don't think about her or wish she was here and Mother's Day is no exception. I couldn't even tell you if she was alive today what I would get her, she'd probably have a kindle (she loved to read) or an iPad so maybe a tablet cover, or maybe i'd take her to lunch, or spend the day getting mani/pedis at the salon. Regardless, I envy every girl that has a mom to spend Mother's Day with. Luckily for me though, when I started dating Andy and he took me home to meet the family his Mom and I became instant friends. She had three boys, and was the only girl in her family. Her mom had passed about 15 years earlier, and she too didn't like her new step mom or in my case my dads girlfriend. We have a lot in common. Last year for Mother's Day we decided to try something new, visit our moms together. They are buried 3 miles apart. It was my first time visiting my Mom's grave site since she died and I didn't know how to act. Was I suppose to cry? Was I suppose to talk to her? I didn't know, but since then I've gone three times. It doesn't get easier, and I'm sure it never will but its nice to have someone to go with who understands and doesn't judge me when the tears come pouring out. Today was just the same. I'm so lucky to have Andy's Mom in my life, even if she isn't my real mom, she does a great job stepping in and being the "Mom" I need. I can always call her with questions or when I need advice, or even when I need a margarita after a rough day at work. So Happy Mother's Day to all the Mom's out there, whether your children are human or fury I hope your day was special as it should. In honor of Cinco de Mayo I thought i'd share my favorite recipe for Beer Margaritas - I had originally found this recipe on Allreceipes.com but I swear by it, and have had no complaints. Pour ingredients together into a large pitcher. Stir until well-blended and the concentrate has melted. Add ice, and garnish with wedges. Recipe makes enough for 6-7 servings.